Low temperatures are a critical factor for many companies that manufacture gensets due to the difficulty of designing competitive products that are prepared to operate in the extreme cold in an optimal manner. This is not the case for Genesal Energy, which has a specific range of gensets that are capable of starting-up and operating intemperatures of up to -30ºC, which has made our brand a reference brand in Scandinavia, as well as other countries in Northern Europe. One of our latest projects in this “low temperature” range has been for DSV, the Danish logistics and transport company, the fifth in its sector at a worldwide scale. The multinational company needed emergency power for one of its logistics centres in Sweden, and for this it reached out to Genesal. To meet with DSV’s needs, we designed a soundproof 450-500 kVA unit (GEN500SI) prepared to withstand the cold temperatures. The unit was installed in DSV’s logistics centre in Jönköping, a municipality located 350 km to the south-east of Stockholm with icy autumns and winters, where the thermometres show temperatures that easily dip below zero degrees. 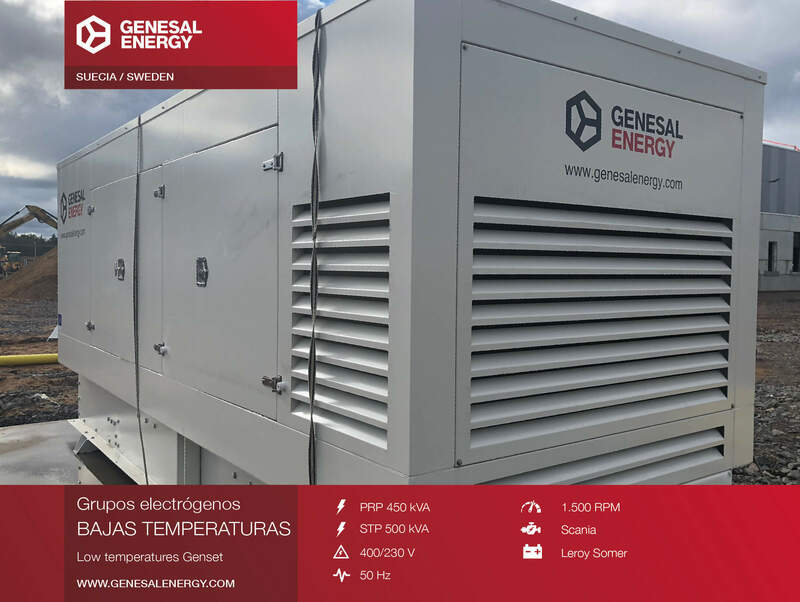 The genset includes oversized batteries and has heaters integrated in the canopy, in order to maintain the unit at the correct temperature so that it is in perfect conditions to start-up in the cold in the case of a mains failure and guarantee the electricity supply to the centre.